Off the back of our innovative double bascule bridge across the River Clyde for the Glasgow Science Centre, Kadesjos approached Spencer Group to design and build a replica at the Port of Vasteras. 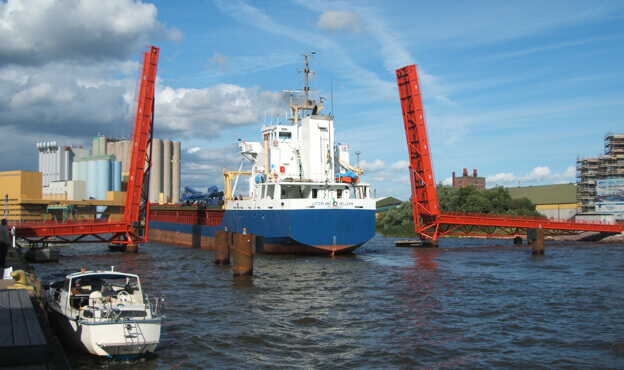 Similar to the Glasgow Science Centre Bridge, the lifting bascules allow easy and efficient access in and out the dock. 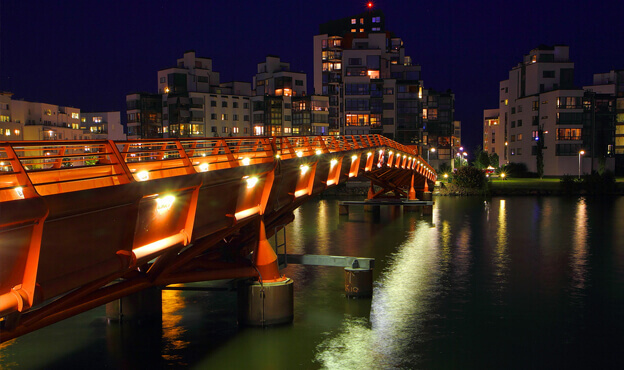 Spencer Group provided the design, consultancy and management services on the moving bascule bridge, as marine based bridges experts, selected by the Swedish Consortium following research into moving structures. They identified a 128m span ‘Glasgow Science Centre Bridge’, designed and constructed by Spencer Group, as providing the most economic and elegant solution for their needs. Following initial discussions in Glasgow – when the Client was able to inspect the bridge ‐ and subsequent visits to Sweden by the Spencer design and engineering teams, negotiations were successfully concluded. 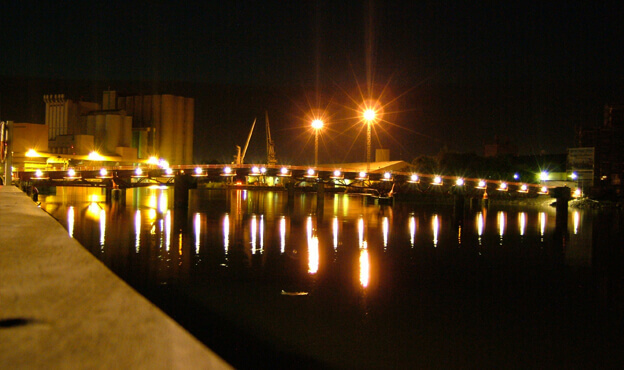 Spencer Group have profound experience working within port environments and working at height over water, as demonstrated by works on the Port of Vasteras Moving Bascule bridge. We are therefore aware of the numerous risks and challenges these projects involve and are confidently able to identify these during planning and design stages to ensure all risks are mitigated and all areas of works are taken into consideration. This provides clients such as Kadesjos, with the confidence that we can perform all of our projects using the most cost‐effective methods, despite working in remote and constrained environments. The client, Kadesjos were also particularly pleased with our engagement with the local community and stakeholders throughout the project and during the maintenance period. For example, the bridge was fabricated using a local fabrication company in Sweden, close to the site location, demonstrating how we utilise and support local SME’s close to the project location.